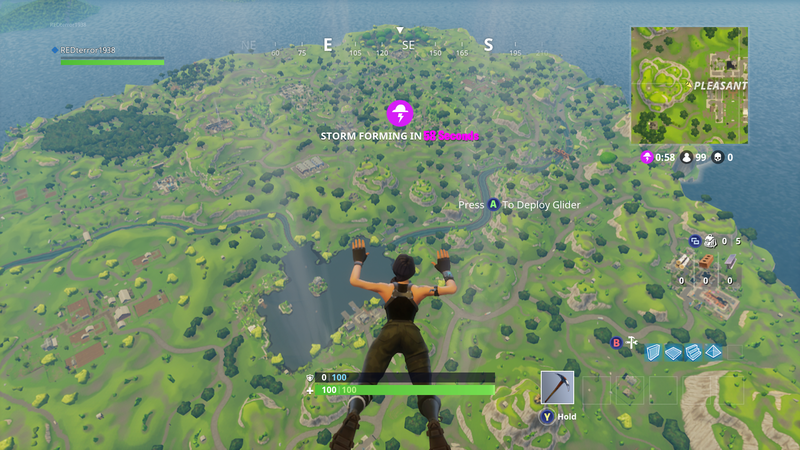 With the recent release of Fortnite: Battle Royale, and the subsequent threat of “further action” PLAYERUNKNOWN’S BATTLEGROUNDS’ developer Bluehole Studio for allegedly replicating their game through Unreal Engine 4, much of the gaming community has been discussing if the Fortnite: BR constitutes a clone of the popular PUBG, or if Epic Games’ newest addition to Fortnite is something more than just a Battle Royale clone. The Battle Royale genre is fairly new. Many people attribute its creation to PLAYERUNKNOWN, who is credited with creating the first Battle Royale mod for ARMA 2: DayZ in 2013, which turned into a smash hit and pulled many of the game’s core base exclusively into the new community. This was followed not long afterwards by the Battle Royale mod for ARMA 3 (sans zombies), H1Z1: King of the Kill, The War Z (which went through multiple trademark and development issues until becoming Infestation: The New Z), PLAYERUNKNOWN’S BATTLEGROUNDS, and most recently, Fortnite: Battle Royale. Suffice it to say, in a short time there has been no shortage of growth for Battle Royale games, and PLAYERUNKNOWN — real name Brendan Greene — has had a large role in steering the direction not just of his own development projects, but the genre on the whole. 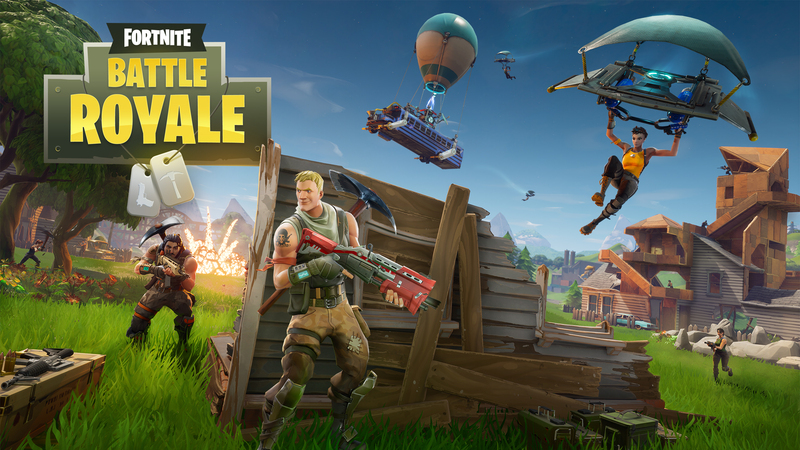 I’ve intentionally opted to stay away from the first-person, crafting-oriented battle royale games like The Culling or Last Man Standing, because I exclusively want to focus on a singular issue here that has been plaguing the Battle Royale community this past week: Is Fortnite: Battle Royale a ripoff or clone of PUBG? I’ve already spoken about this problem at length before in my article regarding Conflating the Intricacies of the Battle Royale Genre, but I think with the recent news it is pertinent to take another look at the issue. In this article I specifically looked at The Culling and how it differentiated itself from many in the genre, but in many ways Fortnite: Battle Royale is a harder case to make. On the surface, Fortnite: Battle Royale looks quite a lot like PUBG and H1Z1: KotK. Developer Epic Games began their reveal trailer by expressing their love for the fledgling genre and specifically said that the new mode was inspired by games like PUBG and H1Z1, two games which were worked on by Brendan Greene and Bluehole Studio. Explicitly stating that their game was inspired by two of Brendan Greene’s IPs may actually have been Epic Games’ only real misstep in this entire debacle, or at least the one that is most likely to result in some sort of action against them, as slim a chance as that will be. I don’t want to get into the specific legal and technical reasons concerning the likelihood of legal against against Epic Games by Bluehole Studio, because in reality it is unlikely to come to fruition. Not only does Epic Games own Unreal Engine 4 — which is the engine that Bluehole licenses for PUBG — but there is no actual proof yet of Epic Games actually using any of Bluehole’s intellectual property. Developers are allowed to express where their inspiration comes from, much like many musicians attribute their sound to earlier acts without any intention of directly plagiarizing them. Isn’t imitation the greatest form of flattery? 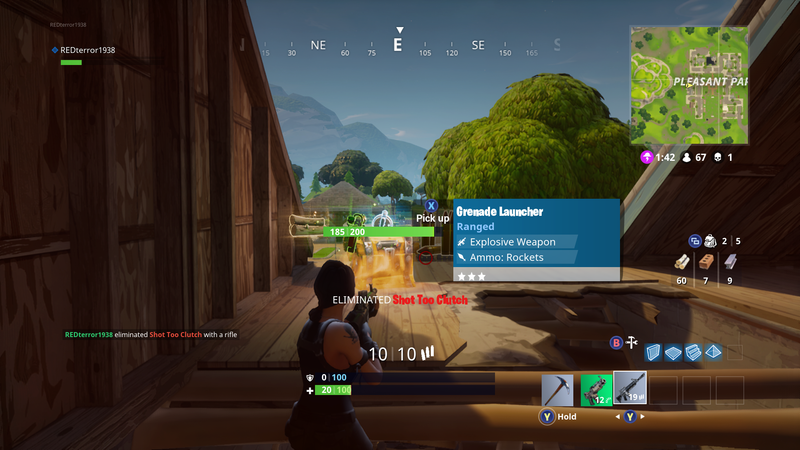 I’ve been playing Fortnite fairly regularly since launch, and one of the things that has impressed me the most about Epic Games’ new IP — long before this new mode was even announced — was their ability to take a wealth of relatively young genres and combine them into a very enjoyable package. In a sense what Fortnite has done best, and in my opinion far better than a lot of its competition, has been to take inspiration from so many sources and create a technically solid game with evolving and entertaining gameplay. Resource gathering? Check. Crafting weapons, traps, and structures? Check. Zombie horde mode? Double check. Home base with persistent world? Check. Co-operative play with friends? Check. Solid level and character progression? Check. Insanely ridiculous amount of new characters, skins, weapons, and more llamas than you could literally shake a stick at? Check, check, check. Fortnite is almost the perfect canvas for open-world shenanigans, whatever they may be. With the inclusion of a Battle Royale mode in Fortnite that utilizes the resources gathering and crafting mechanics of the base game, Epic Games have completely changed how the Battle Royale meta operates. The standard gameplay meta for PUBG and H1Z1: KotK no longer applies here, as players can force enemy combatants through self-constructed gauntlets, build fortified fortresses in the middle of the map, line every hallway with traps, build towers to the sky, or all of the above. Walls no longer provide cover, as players can just destroy them, or build over them. Using my tried and tested tactics from PUBG got me immediately killed in my first games of Fortnite: Battle Royale until I learned to properly utilize the systems available to me. There have been an abundance of games in the past several years which have attempted to combine cooperative resource gathering and crafting along with PvE combat, with extremely varying results. There was an entire period of “Early Access” titles in late 2015-early 2016 which were very ‘Minecraftian’ in essence, and made it hard to distinguish one from another, let alone be able to tell which would be enjoyable. Coinciding with this surge in resource gathering/crafting games, we saw the explosion of the Battle Royale genre beginning in 2015, and I would hazard to say likely not stopping anytime soon. This relatively new phenomena is what has brought us to this current debacle between Bluehole Studio and Epic Games; the first for the genre but likely not the last. This is a common trend that we see almost every time a new idea or mechanic is introduced into the gaming industry, and one that can result with a lawsuit or two before everything dies down and people come to terms with the new state of affairs. Donkey Kong, arguably the world’s first real platformer — there is some disagreement if the 1978 Frogs constitutes as a platformer — laid the foundation for what has become one of the gaming industry’s most pervasive genres. Counter-Strike was originally a Half-Life mod which kickstarted an entirely new mode in first-person shooters, and even entire games based around the concept; for example Tom Clancy’s Rainbow Six: Siege. 1972’s Invasion inspired the first RTS game Herzog Zwei, which was the direct inspiration for Dune II which is often credited for jump-starting the RTS craze of the 1990s. The original Dungeons & Dragons from 1974 created the ruleset which still defines some RPG video games’ core mechanics to this day. I could go on forever. Monopolies are dangerous, and that fact rings true in the gaming industry as well. Oligopolies are almost equally dangerous, and that is exactly what the Battle Royale genre was turning into. A very small handful of players, many of which were directly linked to Brendan Greene, controlled the Battle Royale market up until very recently. This allowed them to run the gambit on the genre, and Epic Games has been the first major player to step up and throw a wrench into those operations, taking the genre and building upon it using their own mechanics. Not to mention that it gives us a Battle Royale game on console, for those of us anxiously awaiting the release of PUBG in Early Access later this year. At the end of the day, we should all be happy that Epic Games chose to release Fortnite: Battle Royale, even if you personally don’t enjoy the game or would rather stick to PLAYERUNKNOWN’S BATTLEGROUNDS. What this will do is not only force Bluehole Studio and existing developers to step their game up with their current offerings, but it additionally has the likelihood to inspire more developers to present their own visions of the Battle Royale genre. In a discussion in my Twitch stream last night, we discussed a plethora of possibilities for the relatively young genre, including a mode where there were 10 teams of 10 players, or a more fast paced Call of Duty inspired version of the Battle Royale. Or what about a Battle Royale game with mechanics based off the intellectual property that actually started it all: the Battle Royale novel written by Koushun Takami and published in 1999, and subsequently released as a movie in 2000. This is where the inspiration for the genre first came from, but I have yet to hear Koushun Takami complain about how his concept has been utilized in the gaming industry. My core thesis of this article is that we in the gaming industry — whether it be developers, journalists, YouTubers, or just regular gamers — are often too quick to lay judgement on a new game because it seems to similar to the games that came before it. Developers and publishers should be a little more willing to see new games which were inspired by their products as an homage, and we as players should not write off new titles just because they appear on the surface to be similar to games we have played before. You may just miss out on your new favorite video game. It would be easy to say that Fortnite: Battle Royale is just trying to rip off PLAYERUNKNOWN’S BATTLEGROUNDS. It would be just as easy to say that Bluehole Studios is upset about Epic Games beating them to the console Battle Royale market, likely disrupting their business plans. It is much harder, but also much more important, to look deeper into what these core issues actually mean for the gaming industry, and more importantly for us as gamers. Cases like this in the past have kick-started entire new genres and led to some of our most cherished games, and I firmly believe that this issue will develop into something that benefits us all; perhaps I’ll finally get a Hunger Games Battle Royale game. I am genuinely thankful to Brendan Greene and to Bluehole Studios for everything that they have done to make one of my most cherished books into a full-fledged video game genre that I can enjoy with my friends. It is my hope that in the future, developers and gamers alike will come to share my optimistic passion for the future of the Battle Royale genre, so that we can all come together as a community to create and enjoy one of the best things to happen to the gaming industry in the past several years. Previous articleBuilding a PC: Style or Substance? JungleDrums: Ep34 – Are Loot Boxes Gambling? JungleDrums: Ep24 – RIP MS Paint, PUBG tournament, & more!